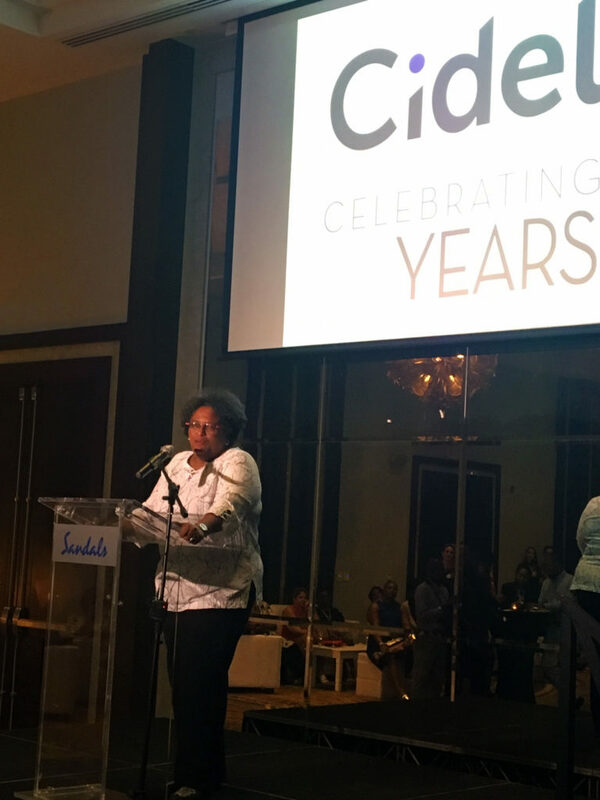 On February 4th, at the Sandals Royal resort in Barbados the Prime Minister and Minister of Finance and Investment, Mia Amor Mottley addressed the dignitaries, friends and staff in honour of our 20th anniversary. 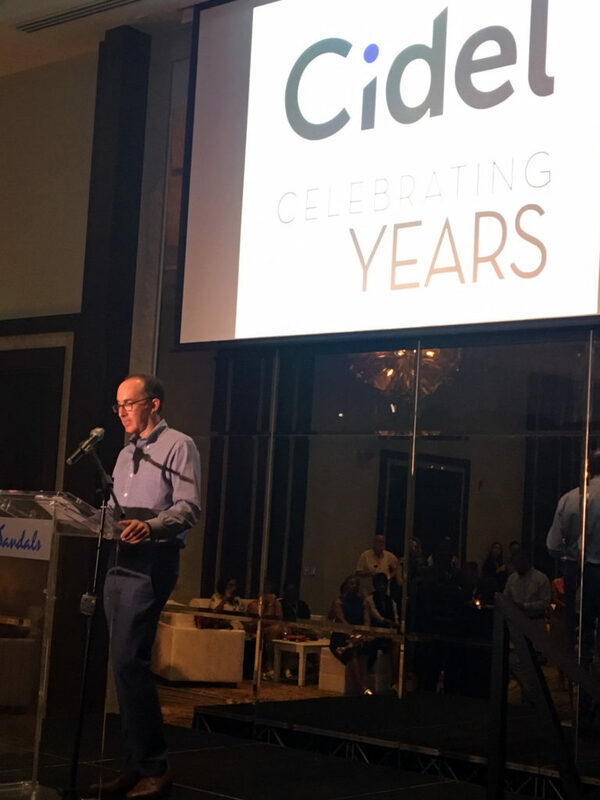 Adrian Meyer – Deputy Chairman of Cidel Bank and Trust Inc, spoke of the history of Cidel and Craig Rimer Chief Executive Officer brought greetings from Canada and thanked everyone for their contribution to the success of the business. Our Q4 Quarterly Report is out. Hope you enjoy! 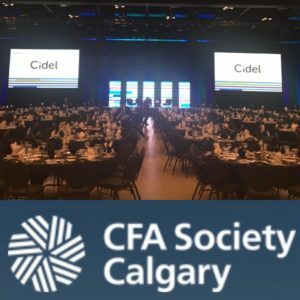 Cidel was proud to continue our support for CFA Society Calgary as sponsor of the Forecaster of the Year at the 42nd Annual Forecast Dinner. It was a good evening hearing from Willis Sparks of Eurasia Group, Paul Smith, CFA, President & CEO of the CFA Institute, and our panelists: Jackie Forrest, Todd Hirsch and Larry Berman. We are one of the sponsors of the Foundations & Endowment Investment conference taking place in Toronto on January 30th – 31st 2019. Environmental, Social, and Governance (ESG) information has received increased attention from investors in recent years. As of 2017, 75% of major companies around the world produced some form of Corporate Social Responsibility (CSR) report, up from 19% in 2002. In these articles Cidel Asset Management explores the Rise of ESG disclosures and takes a closer look at why Corporate Governance matters. Click Here to read a message from the Chief Investment Officer to our clients. Cidel’s investment research and portfolio management team travels the world to learn more about firms and industries and to interview senior management. Philip Young is presently travelling in Asia and has sent along some insights. Cidel discusses market implications of potential presidential impeachment! At Cidel, analyzing the risks to … While we view the potential impeachment of President Trump as unlikely at this time, the odds may have marginally increased and we are monitoring factors that could change our view….The likelihood of the President being impeached remains low. but the odds of it becoming a political discussion point are higher with the results of the recent mid-term election. The Republicans did retain their majority in the Senate, but no longer hold the largest number of seats in Congress. Our Q3 Quarterly Report is out. Hope you enjoy! We are proud to announce that Cidel was named a Gold Employer Partner of the STEP Employer Partnership Programme in Canada, South Africa and Barbados! STEP is the global professional association for practitioners who specialise in family inheritance and succession planning. STEP works to improve public understanding of the issues families face in this area and promotes education and high professional standards among its members. Full STEP members, known as TEPs, are internationally recognised as experts in their field, with proven qualifications and experience. Achieving Gold accreditation is a testament to the strength of policies, practices and structures that Cidel has implemented to support its growing Private Wealth offering. “Cidel Bank & Trust Inc., has enjoyed a long-standing relationship with STEP and is honoured to have achieved gold accreditation with the Employer Partnership Programme. This solidifies Cidel’s commitment to developing its key resource; its people. Jenni Hutchinson, Head of Employer Partnerships for STEP, said “Cidel is to be commended on the way that it supports its staff by means of the very good learning and development provision it has in place. This, backed by a supportive, strong leadership and positive learning culture, ensures that all staff are given the encouragement that they need to achieve their potential”. Cidel’s Karl Berger, Senior Wealth Consultant and Director was a guest at BNN Bloomberg discussing his thoughts on the case for investing in Canadian stocks for the long haul. In this BNN interview, Karl states a strong argument can be made for staying in Canadian stocks. Our Quarterly Report is out – Looking back at Q2 and moving forward into Q3, with the impact of tariffs, yield curves and forward earnings. Hope you enjoy! We are proud to announce that Cidel was named one of six “Recommended Private Banks-Canada” in the High Net Worth 2018 Guide issued by Chambers and Partners. Cidel was the only privately-owned bank that was recognized; the other ranked firms are the private banking units of Canada’s 5 largest financial institutions. According to the guide, Cidel “is very strong on the investment management side, has a trust business and offices in Toronto and Calgary”, and “They do client services like no one else on the street. They have expertise at a level no one else in the city has. They know what they’re doing”. Chambers and Partners’ annual High Net Worth Guide is specifically aimed at the international private wealth market, and covers private wealth management work and related specialisms, like private banking, in key jurisdictions around the world. Cidel is pleased to congratulate our Chairman Mr. Geoffrey Matus who received an honorary degree from the University of Toronto, June 20th, 2018 for his exceptional work in the education and health care industries. In conferring this degree he was recognized for all his efforts and impact that he has had on all those that have worked with him. Congratulations Geoff, from all at Cidel for this significant and well-deserved honour recognizing your relentless and tireless efforts for the betterment of others. Arthur Heinmaa, Chief Executive Officer of Cidel Asset Management joins industry experts in commenting on currency and how it impacts institutional investors. Click here to read the article that explores exchange rates at a time of uncertainty around everything from trade deals to monetary policies. Cidel’s Quarterly Report is out – a look back at 2017 and our investment team’s key themes for 2018. Cidel’s Senior Vice President, Portfolio Manager and Head of Global Equities Mandate Charles Lannon was a presenter at this year’s national conference of the Portfolio Management Association Canada. In this BNN interview from the conference, he discusses how to find value in global equities. Click here to watch. Our Q3 Investment Report is out – Looking Back on Q3, Looking Forward at Q4, and spotlights on active vs. passive and global infrastructure. Karl Berger, Cidel Senior Wealth Consultant and Director, was guest host on BNN’s ‘The Street’ last week. In this clip he discusses the Federal Reserve and expected upcoming changes. An inspiring piece on the Invictus Games plus spotlights on distressed investing, cancer research and why you should question widely held investment maxims. Cidel’s August Newsletter – A Coda to Summer: Jimmy Buffet, your kid’s sports, and kale salads. Our Quarterly Report is out – looking back on Q2, what’s on our radar for Q3 and spotlights on our trust services and the Fed’s balance sheet. Cidel’s June Newsletter – Steves Schwarzman and Jobs, Lefty’s insider trading issues and the myths of working philanthropically. 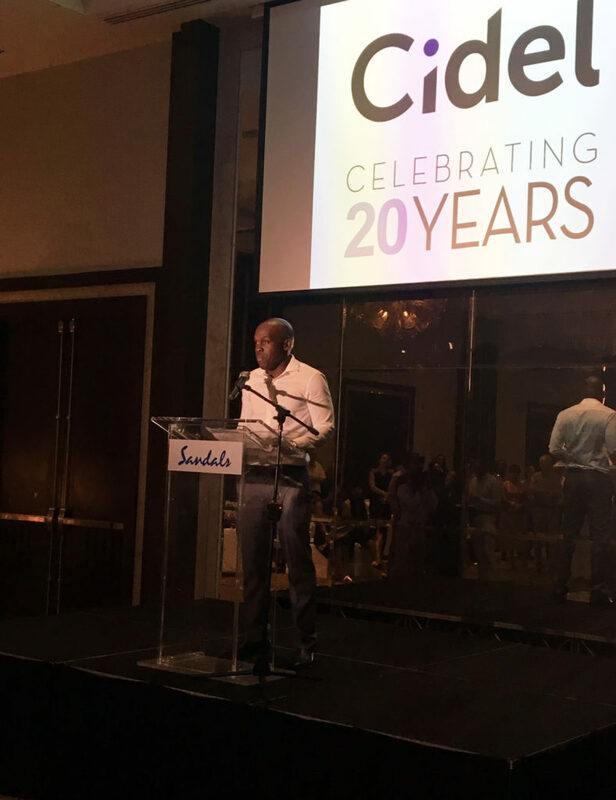 Gerard Baker, Editor-in-Chief of the Wall Street Journal speaks at a Cidel sponsored RamsayTalks event. Baker discussed America and the world in the age of President Trump. Cidel’s Q1 Quarterly Report is out: looking back, looking forward, and spotlights on artificial intelligence and the rise of populism. Our March newsletter looks at Toronto’s rise as a VC hub, Henry VIII’s role in Brexit, and why you see so many puffer jackets. Cidel has been appointed portfolio sub-advisor for the NexGen Canadian Dividend Fund, by Natixis Global Asset Management Canada. We are looking forward to continue building on our relationship with Natixis and expanding our sub-advisory business in Canada and around the world. In our February newsletter we feature an interview with a uniquely modest private equity manager, Howard Marks of Oaktree Capital, and a remarkable Canadian medical device that lets blind people see. Our Q4 Quarterly Report is out – our investment team’s quick take on the important stories of the prior quarter and what could impact portfolios looking forward, plus more in-depth analysis of important themes or presentations we think might interest you. The first Cidel Newsletter of 2017: a look at Uber and AirBnB’s beginnings; an intimate account of mental illness; the magic of thinking long-term when investing; and a timely list of ways to keep your productivity going strong through the new year. Our last newsletter of the year: Dalio on Trump, Tiffany’s troubles, and the best books of 2016. See you in 2017! Click here to watch Karl Berger on BNN’s “The Street”, discussing the causes and implications of the U.S. dollar hitting 14-year highs. Trump Wins the Presidency: What should investors think? We never really expected to write the words “President Trump” in any commentary but that is where we are today. It has been an emotional rollercoaster that has left many clients, friends and family concerned, disheartened and perhaps afraid. It is at moments like this that we have to distance ourselves from the passion of the moment and reframe the issue. Emotional considerations aside, where is the real risk? The bottom line is this: in the aftermath of the Trump victory we have greater uncertainty which will entail lower economic growth rates and higher premiums for risky assets. During the past few years we have witnessed a continued movement in market prices towards safety, resulting in a considerable sacrifice of potential upside. Corporations have continued to amass record amounts of cash as a cushion against another downturn. Investors have withdrawn money from equities and sought the perceived safety of fixed income. In Switzerland, where I write this commentary, the entire yield curve is negative, meaning investors buying Swiss government bonds in fact pay for the privilege instead of earning from it. Even investing your money for 50 years in Swiss bonds yields nothing. With the election of Trump it is unlikely that any of these situations will change soon. In general, things never turn out as badly as you fear they might. Even if President Trump wants to enact some of his election promises, he will have to work through Congress to get the bills passed. In the past we have certainly seen many governments and presidents come and go without a dramatic impact on businesses. The problem today is that we can easily envision a number of bleak outcomes. Initially, as with Brexit, we suspect that the markets will stabilize because very little will change in the short run. But leaving aside social and moral judgements, we believe that in this economic environment, the investment risks are somewhat greater – not so much from a legislative perspective but from an economic policy perspective. For us, the real concern is what will occur in the event that slower US growth slips into a recession? Let’s look at how this could play out over the next few years. First, we expect that at some point during the next year Trump will announce a replacement for Janet Yellen, the current Chair of the Federal Reserve, whose term expires in February 2018. Unless we are pleasantly surprised, her replacement could be someone without the experience or credentials that all Federal Reserve Presidents in recent memory possess. Moreover, Trump has indicated that he would like to reform the Fed, which may well compromise its traditional independence. It is likely that the replacement will be much more beholden to the President and even the Republican Party, which implies a greater focus on inflation and less on the goal of full employment. Second, if the economy moves into recession, what will be the likely policy response from President Trump? The average decline in interest rates during previous recessions has been about 5%. The Federal Reserve does not have the ability to drop rates further. Previously we would have expected the government to step in and increase spending to stimulate the economy. However, it is more likely that a businessman and Republican will try to restore confidence by cutting spending in a recession, when government revenues are declining. The result would be a more pronounced recession. The result could be a long and particularly nasty economic slowdown. We are not forecasting this outcome; however, the possibility of such a scenario is higher now. For investors, managing risk though judicious equity selection and geographic exposure will be even more important as uncertainty rises. Investors can not blithely assume that the US economy will be the engine of growth that it once was because the possibility of policy mistakes is higher. Our expectation is that economic growth will continue to disappoint and be revised lower and interest rates as a consequence will remain low. At Cidel, we will re-examine our allocations and individual investments in light of this event, as we continually do, to determine appropriate changes in this new environment. Healthcare Stocks: Is a recovery on the horizon? The US 10-year bond yield climbed almost one quarter of a percent to 1.83% amid increasing expectations that the Fed was on the cusp of a second interest rate hike in the US this cycle and that problems arising from negative interest rates marked a low point for yields-pressured bond markets. This expectation undermined equity markets, with the MSCI World falling 2%. The Canadian Dollar weakened against its US counterpart. Historically, the healthcare sector has been popular with growth investors, and for good reason. Positive long-term demand trends due to an aging population, combined with significant barriers to entry underpinning the ability to raise prices combine to offer the prospect of above average earnings growth, largely independent from the economic cycle. This combination should have particular appeal in the current environment of moribund growth and weak pricing power, however the sector has been underperforming the broad market significantly. What are the issues frightening investors, and what can we expect going forward? Two main factors are causing investors to question assumptions around the historical business model of pharmaceutical companies, particularly their ability to raise prices at will: political pressure from government, and commercial pressure from large scale drug purchasers. The US Government is the largest payer for prescription drugs, so it has a vested interest in the trajectory of drug prices. However, elections create the potential for a change in the balance between the various competing interests. The Republican platform is largely focussed on replacing the Affordable Care Act with some alternative offering patients greater choice and reducing the burden on employers. Hilary Clinton’s goals include improving the Affordable Care Act, and improving Drug Affordability. Proposals to increase affordability include making it easier for generic/biosimilar drugs to get to market, creating a watchdog to ‘respond’ to excessive price hikes in older drugs, and allowing Medicare to directly negotiate for drug prices. While both platforms could result in changes, the ability to pass legislation obviously depends largely on who controls Congress, so if gridlock persists, any radical overhaul is ultimately unlikely. However, due to pre-election uncertainty, it’s no surprise that investors are avoiding the sector until the outcome is known. Additionally, there are state-level initiatives which create uncertainty in future earnings potential for the pharma sector. Most prominently, Proposition 61 in California proposes mandated best pricing for state employees/retirees. While it seems likely to pass, how drug companies will respond remains to be seen. In our view, any proposal to impose direct Medicare price controls are the most concerning for investors, although the current system has already resulted in concentrated buyers negotiating with drug companies, demanding and receiving considerable economies of scale. This increasing pressure by drug purchasers (insurance companies and their Pharmacy Benefit Management agents) to reduce net drug prices is the second serious source of pushback to pharma earning potential, and it seems to be intensifying and affecting additional areas. For example in diabetes treatment, Novo Nordisk (a former portfolio holding) recently revealed that an inability to get sufficient pricing on its new drugs to offset negative pricing on older treatments, caused a 50% cut in its medium term growth target. In our opinion, this ongoing pressure from purchasers is a bigger fundamental concern than political headlines. So where next? The consensus from a recent healthcare conference we attended is that the sector should perform better post-election, although the pricing environment will likely remain tougher for some time. Given that price increases more or less fall 100% to the bottom line, valuations will likely adjust downwards, and it’s not clear that this process is complete. However, while price pressure is a challenge for the industry, the inexorable increase in healthcare costs is a real longer term challenge for government finances, and any ability to reign them in without hampering innovation would be a welcome ‘big picture’ development. In any case, change always creates opportunities, so Cidel – and investors – will be on the lookout. September saw equity markets close to their all-time highs, with gains in both Canada and the United States. For the third quarter the MSCI was up 5.25%, the TSX was up 5.45% and the S&P 500 was up 4.23%. The bond market was also up by 0.44% for the same period. Despite positive equity market returns, clients and institutions remain concerned as the US election approaches. The most common question that we get from clients is – what changes we are going to make to portfolios ahead of the US presidential election? With emotions running high many clients feel that preemptively moving to a cash position may be a prudent decision. Stepping away from the emotions associated with the presidential candidates, we can examine this question from the perspective of market timing and market efficiency. The answers provide an interesting insight into markets and returns. Make no mistake about it, aggressively timing the market does not add any value to investment returns – in fact it is a big detractor to long term performance. Constantly bouncing from cash to a fully invested position only makes money for the brokers. For market timing to be successful, a trader (notice we didn’t use the word investor) must identify the correct moment to exit the market and ALSO identify the correct moment to re-enter the market. In addition, the trade must cover all the commissions and taxes that are associated with the decision. Over long periods of time equity markets tend to rise, so by timing the market you are also swimming against the tide of growth. The likelihood is that all those factors will work against any market timing strategy. So under what conditions would such a strategy be successful if at all? The answer lies in the arena of market efficiency. At Cidel we believe that markets are semi-efficient, which means that markets incorporate all public information into prices and that if there are gains to be made it is from insights uncovered through detailed proprietary research. Putting this into perspective, ask yourself how many people in the market don’t know that Donald Trump is running for president, and that there is some possibility that he may win. Of course most people know this fact and have been incorporating this possibility into the prices of assets, not only in the US but across the globe (e.g. recent gyrations of the Mexican peso). For any trading strategy to be successful, a trader must have access to information that is not public or, in this case, have an insight into Trump’s presidency that other traders do not possess. So a position on Trump or no Trump based simply on personal opinion is unlikely to yield any edge. If there is an edge to be gained, it is likely in the form of scenario analysis. By that I am referring to possibilities that the market has not priced in because they are not widely considered. For instance, consider the following possibilities. What if Trump drops out of the running prior to the election date? What if Trump wins a narrow majority in the electoral college but loses the vote? Will the electors vote with the win or will they vote contrary to the pledge? What if Clinton wins by a landslide and the Democrats also win majorities in the House and Senate? By working through these scenarios we can get an idea of what markets are likely to do and how we would respond either by buying or selling a specific stock(s). Scenarios combined with our proprietary equity research give us the opportunity to react quickly if there is an exaggerated market movement, no matter how brief. Ultimately, it is knowing how to manage the risk/opportunity associated with unexpected news that generates returns, rather than trying to aggressively time an event for which the whole market is prepared. Click here to watch Chief Investment Officer Arthur Heinmaa on Bloomberg TV. Global equities produced modest gains in August, with emerging markets continuing to perform well. 10-year bond yields climbed as investors continued to fixate on the outlook for US monetary policy. When considering what to do with cash not earmarked for internal investment, corporations have two basic options for returning it to shareholders: either to pay a dividend or to repurchase shares in the market. Market analytics firm FactSet notes that US firms bought back $166.3 billion in shares in the first quarter of 2016, an increase of 15.1% over the same period last year. To put this into context, FactSet calculates that this represents a “buyback yield” of 3.3% for the S&P500 index. Should investors care? The debate over the relative merits of dividends and buybacks can generate surprising levels of passion in the hearts of finance practitioners. Academics would argue that, assuming a company’s share price is fairly valued, there’s no real difference – if company A paid a 10% dividend while company B bought back 10% of their shares, shareholders in company B wanting immediate income could sell 10% of their holdings to have the same amount of cash and proportional interest in the company as their counterparts in company A. Without selling, their percentage interest in the company would have increased by 10%, so while the total value of the company would be unchanged, the value of each holding would be 10% higher. Logistics company Expeditors International described it as the corporate finance equivalent of a Miller Lite (“Tastes Great/Less Filling”) commercial. In the real world, however, there are some more nuanced factors to take into consideration. When buybacks initially rose to popularity in the 1990s, dividends were taxed at a higher rate than capital gains – a bias that created a clear argument in favour of buybacks. After the tax treatment of dividends was reformed, this argument evaporated, though buybacks didn’t. A popular justification, particularly considering broader market supply and demand for equities, is that ongoing buyback activity creates a natural demand for stock and can act as a tailwind to share prices. Goldman Sachs expects $450 billion in total share repurchases during 2016, creating the largest single source of demand for US equities. However, buybacks invariably dry up in a sharp market downturn. Ideally, a company would buy back stock when its share price is trading at an overly depressed level and stop (or issue stock) when shares are overvalued. Canadian insurer Fairfax Financial is one of the few companies that (tries) to do this. There are counterarguments, of course. Firstly, many companies buy back substantial amounts of shares to offset incentive shares issued to management, leaving the total number of shares outstanding unchanged while simultaneously downplaying the income statement impact of share options. More broadly, share repurchases can interact with badly designed management incentive schemes to encourage decisions not necessarily in the shareholders best long-term interest, for example aggressively buying back shares rather than investing in a long-term project, or borrowing large sums of money to finance buybacks. While the mathematical justification certainly exists in the current low interest rate environment, the potential for unintended consequences down the road exists as well. At Cidel, we ultimately have a bias in favour of dividends not least because of their tangible nature, however, a solid understanding of a company’s sustainability and underlying cash flows is the most important basis for sound investment decisions. Cidel Asset Management Inc. manages the Toron AMI Balanced Strategy. balanced investment. Read the Fact Sheet for a full overview of this strategy. For information about performance, view this summary from the eVestment Database. Note: Toron AMI and Benchmark performance is gross of applicable management fees. Over the course of July, equities shrugged off their Brexit inspired swoon, with the MSCI World Index gaining just over 4%, largely upon the perception that central banks would act to offset any economic impact of the UK decision. The Canadian dollar fell modestly against its US counterpart, and the yield on the US 30-year treasury fell 10 basis points. While it is generally accepted that the various programs of Quantitative Easing (QE) – injecting cash into the economy by buying bonds – carried out by Central Banks have been successful in terms of supporting the economy, it’s also apparent that they haven’t delivered the boost to growth and inflation some of their more enthusiastic advocates hoped for. Likewise, the move to impose negative interest rates seems to some extent to have been counterproductive thus far, due to the negative impact on commercial bank profitability. Obviously believers in the maxim “if at first you don’t succeed”, many opinion leaders are now advocating even more out-of-the-box policies- particularly the concept of ‘helicopter money’. While it creates a fantastic mental image, helicopter money is actually a metaphor put forward by economist Milton Friedman and popularised in a 2002 speech by Ben Bernanke when he was a Fed Governor. The basic concept is that if the central bank created money and gave it to the government, which in turn used it to invest in infrastructure, say, or cut taxes, the resulting boost to aggregate demand in the economy would stimulate growth. While this sounds in effect the same as QE, there is a crucial difference. In a QE program, the central bank is exchanging one asset (cash) for another (bonds issued by the government). The government still has to repay those bonds, albeit now to the central bank rather than the previous private sector holder. While the mechanics could take several forms, a program of helicopter money would effectively supply fresh cash to the economy but with no corresponding government liability. From the perspective of the private sector, QE leaves their net assets the same but alters the mix; helicopter money on the other hand serves to increase their net assets. On paper this sounds like a good idea- public spending and a boost to people’s incomes should have a stronger direct economic impact than relying on some spill over from higher asset prices arising from QE. Likewise the absence of incremental government borrowing reduces the risk of upward pressure on interest rates. However as is always the case there are a number of significant potential pitfalls (setting aside questions of the legality of such action). The credibility of central banks lies to a large degree on their independence from the government, and a perception that they are in reality subject to political influence could therefore threaten the effectiveness of future actions. Short term success in stimulating the economy could also take government focus off attempts to enact more difficult longer term reforms. Finally, the achievable boost to demand is debatable if any increase in household income is perceived to be one-off in nature- for this reason spending on infrastructure and so forth is preferable to a one off transfer payment to members of the public. Overall it is likely that the risks to central bank credibility will prevent a wholehearted adoption of helicopter money. Certainly the Bank of Japan, considered by some the most likely candidate to put it into practice, recently disappointed markets with their failure to do so. That said the temptation is there and will intensify should the current underwhelming growth trends persist. Overall we return to the sentiment expressed in last month’s note- the importance of selectively investing in companies with underlying business characteristics that give them control over their own destinies. Click here to read a Wealth Professional article on the global appeal of Canadian telecoms, featuring our portfolio manager Rob Spafford. Click here to read this Canadian Business magazine about investing in a low interest rate environment, featuring our Chief Investment Officer Arthur Heinmaa. For the quarter ended June 30th, equity markets returns were up slightly from the previous quarter and are now positive for the year. Year to date, the S&P returned 3.28%, the MSCI 0.12%, the TSX 9.8% and bonds 4%. Of course the big news was the result of the Brexit vote and the stunning decision by the citizens of the UK to leave the European Union. This result continues to reverberate across financial markets with equity markets almost recovering their losses following the vote. In contrast however, the global bond markets have not returned to their pre-Brexit levels. This month we will look at what this decline in yields might mean for the economy and investors. Thirty years ago interest rates stood at over 15% and many people were losing their homes because they were unable to afford the higher mortgage payments due to increasing mortgage rates. Never in their wildest dreams did anyone expect to see today’s 10-year Canadian bond rates at 1% and 30 year bond rates at 1.60%. In the week after the Brexit vote long term (30 year) yields dropped by 0.45%, an amazing move in the bond market, and they remain at those low levels. What is implied by these interest rates? The first implication of these low rates is that global growth will remain muted. The economy will stumble along, but it is unlikely that we will return to the 3% growth rates of the past. Low interest rates over the past 8 years have encouraged companies and individuals to spend/consume today, essentially bringing forward consumption from the future to today. The direct consequence of that policy is to dampen demand in the future. Anyone who really had an intention to spend or expand has already done so, and hence lower demand lies ahead. Lower demand will translate into anemic growth. The second implication is that inflation is expected to remain low. Many market observers forecast increasing inflation rates as both the Fed and European Central Bank embarked on quantitative easing and central bank balance sheets expanded. This has not proven to be the case, and indeed the market is now forecasting that the first interest rate increase will now take place no earlier than 2019. Without sufficient demand the economy will fall chronically short of potential, resulting in little or no inflation. Therefore, we shouldn’t expect inflation to push interest rates higher. The third implication, which is actually more of a question, is why the government is not spending on needed infrastructure projects. Adjusting for inflation, long-term Canadian and US interest rates, i.e. the borrowing cost for the government, are at or below zero. In many other countries interest rates are below zero even before inflation adjustments. It would be reasonable to assume that there should be some infrastructure investments that would produce a benefit that is greater than zero. As most of us would agree, public transportation would be high on the list, as would road repairs. Unfortunately however, there seems to be little will for governments to spend money – even at these low interest rates. Until that changes don’t expect the growth picture to change. In this low growth environment it is more important than ever to be selective about the securities you purchase because tepid economic growth will not bail out a struggling company, and indeed it will serve to exacerbate the financial implications of corporate mistakes. Click here to see Karl Berger on Bloomberg TV, discussing investing in global markets. CEO Craig Rimer is featured in this Wealth Professional article. Click here to read about what sets Cidel apart from the ‘Big Five’ Canadian banks.